Are you curious whether the Bosch AHS 70-34 is any good? You’re in the right place to find out. 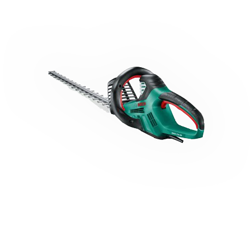 In this unbiased review, we look at the Bosch 70-34 hedge trimmer in more detail and get the lowdown from real users. If you’ve seen any of our other product reviews on Garden Power Tools, you will probably notice that we have quite a few Bosch products. The reason for this is simple; they build high quality products that perform and last and the Bosch AHS 70-34 model is no different. So, what is the Bosch all about? Bosch have really tried to conquer the market with their range of electric hedge trimmers. They have effectively produced a large range which cater for small to large hedges and everything in between, so there is something to suit everyone. 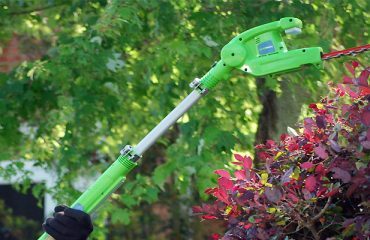 This trimmer from Bosch gets rave reviews from those who own it and use it in their gardens. People love that it’s large so makes short work of a job that would normally take a long time with a smaller, less powerful hedge cutter. Some users buy it because they have large amounts of hedge to trim which it races through without a problem. Others purchase this model because they like the larger than normal tooth opening which allows them to trim larger branches. There really are no valid complaints about this product. The only thing to note is if you are upgrading from one trimmer to this one solely because of the blade length because different manufacturers can measure the blade length from different points. Just something to note. Having used many Bosch produced power tools over many years I don’t hesitate to recommend a Bosch made tool, usually without even having used it! The reason for this confidence is that they always deliver. They have a good reputation and know that in order to keep it they can’t release poor quality products. 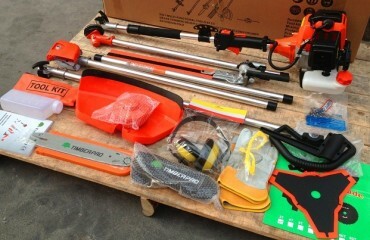 This AHS 70-34 electric hedge trimmer is a larger than normal model. 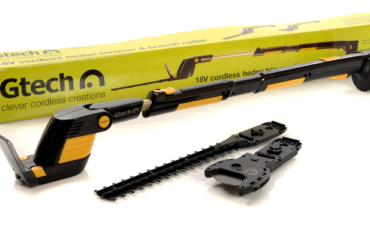 It’s designed for those who need to cut a large number of hedges, which is why it has the 70cm blade length, and also for those who need to work on thicker branches, the 34mm tooth opening ensures that you can slice through them without too much of a problem. Not only that, but the blade has the added ability to be used like a saw and cut through branches of up to 38mm in diameter. If you are after a larger cutter for bigger hedges this is the one for you. It’s suitable for thick branches but still remains relatively lightweight so you don’t get too tired when using it. Having said that, some users who are not used to this kind of work may find it a little tiring on the arms, especially if having to use it with extended arms. If that sounds like you, you’re probably better off looking at either the Bosch AHS 50-16 or the Black & Decker GT6060, which we have also reviewed on this site. So, for any large job where you feel comfortable using this slightly heavier machine go for this one. Yes, it’s a little more expensive than some others but it’s better quality, more powerful and will make very short work of the hedges you need to cut through. Amazon are the best online retailer to buy from because they are trusted and safe. Buy from Amazon today. A powerful and effective product that will breeze through your hedgerows with no effort and in no time at all, especially suitable for those larger hedges and branches.